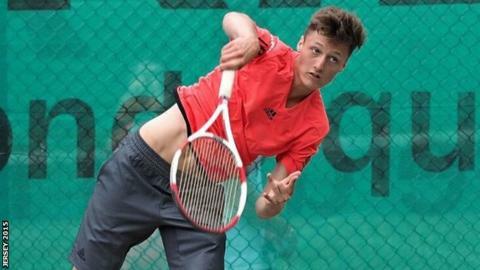 Jersey tennis player Stuart Parker is out of the Commonwealth Youth Games after he suffered an ankle injury. The 18-year-old was forced to withdraw from the event in Samoa and will be out of action for three weeks. He had beaten Guernsey's Jack Oldfield 6-0, 6-0 in the first round and was due to play Lesotho's seventh seed Kukutla Motlojoa in round two. Parker won team gold and men's singles and doubles bronze at this summer's Island Games in Jersey. Elsewhere in Samoa, Harry Shaloman and Cameron Swart each improved their 50m butterfly personal bests as they swam 26.59 and 26.67 seconds respectively but failed to make the final.